Season Four of United States' Center Stage tour starts this September featuring three Egyptian bands. 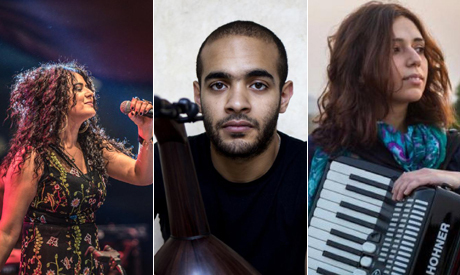 Egyptian musicians Dina El Wedidi, Youssra El Hawary and Mohamed Abozekry & Karkadé have started their US Tours amid season four of the Center Stage initiative that aims "to bring artists from abroad to American communities." The tour is taking place across September and October throughout the United States. "I’m so grateful to have a tour in US with the band and be a part of Center Stage programme," said El Wedidi. Announced via her website, El Wedidi will also be releasing her electronic album 'Slummer', an album that moves away from her folk roots. Her tour of the US starts Saturday 15 September in Tropicalia, Washington DC, and her last show will be on Thursday 18 October at the Kravis Center for the Performing Arts in West Palm Beach Florida. 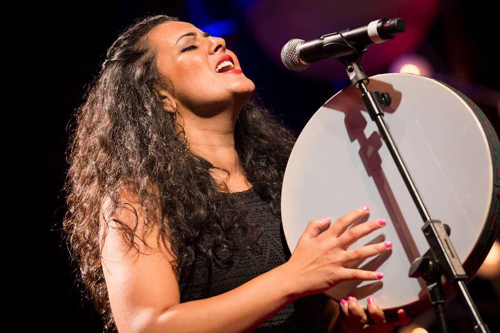 Dina El-Wedidi has in recent years gained not only success and popularity in Egypt, but also abroad, playing shows across United States, Europe and Africa. Her music style has a significant Egyptian, as well as wider African influence. She has collaborated with the Nile Project, an initiative that included musicians from Nile basin countries. "AMRIKAAAAAAAAA! Please tag your friends in the cities we are visiting. 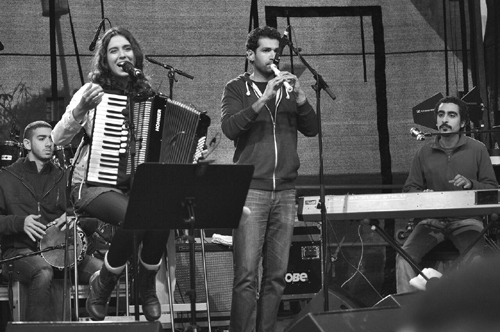 Friends in the US, we would love to see you there," wrote the young accordionist and songwriter Youssra El Hawary, who released her fan-funded album early this year. She has shown considerable excitement to start her tour, starting at the University of Richmond on Thursday 13 September, and ending on 21 October at Globalquerque, Albuquerque New Mexico. El-Hawary took the music scene by storm in 2012 with her hit single El-Soor, before hosting a weekly radio show in 2014 named Aadet Mazzika on local commercial radio station Nogoum FM, which highlighted local independent musicians. "Ladies, and gentlemen, Karkadé has finally landed in Washington DC. 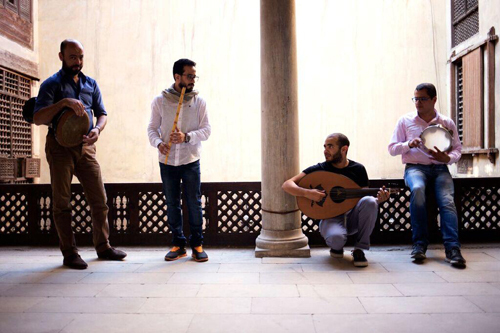 The CenterStage Tour is about to start," oud player Mohamed Abozekry stated before his first performance at Weis Center for the Performing Arts at Bucknell University, Lewisburg, Pennsylvania. "With Karkadé, Abozekry evokes the hibiscus tea found everywhere in Cairo, and the eponymous French café at which this project was born. He convenes Egypt’s popular and classical music traditions, Sufi calls, and secular poetry, to musically describe a path to an Arab world at peace with its history and turned towards the future," describes Center Stage. The United States' Cultural program Center Stage, in coordination with the American embassy in Cairo, picked the three bands a year ago through a strict selection criteria as the current season of the event sought to bring musicians from Egypt and Ukraine. The first Center Stage season was in 2012 bringing musicians from Haiti, Indonesia and Pakistan, after which 2014's edition focused on Morocco, Pakistan and Vietnam, while the third season picked musicians from Algeria, Pakistan and Tanzania.